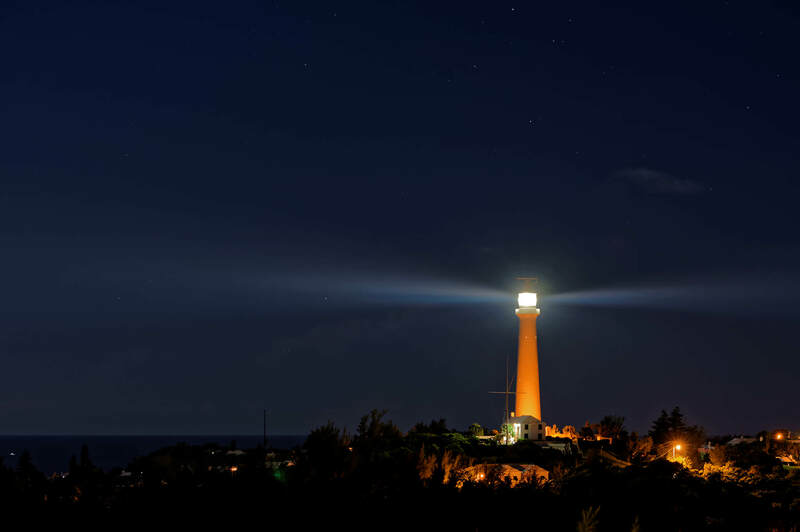 Directions: Gibb’s Hill Lighthouse is located in Southampton Parish, Bermuda; reached by South Road, Lighthouse Road, and then up St. Anne’s Road to the base of the structure. 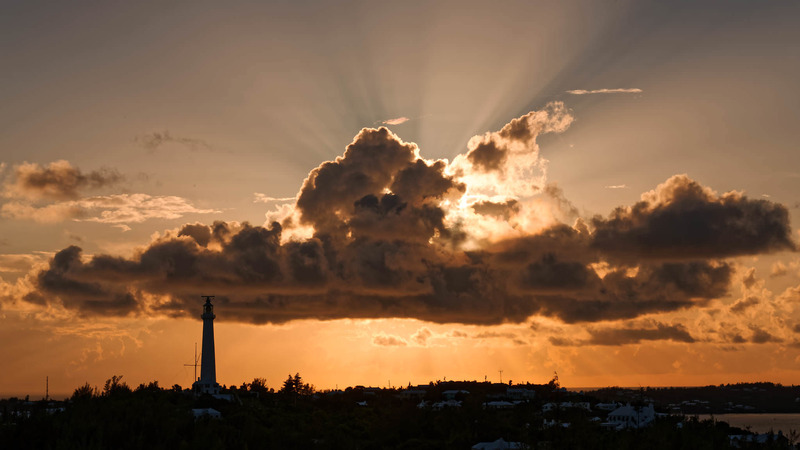 Gibb’s Hill Lighthouse has been standing on one of the highest points in Bermuda for over 170 years. 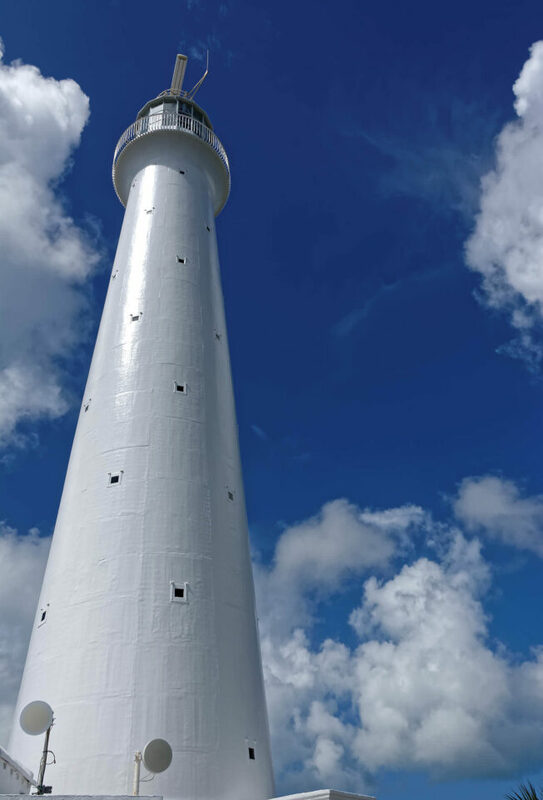 Built of cast iron and painted white (the colour of many structures in Bermuda), it is a marvellous photographic subject from near or afar. The featured photo is a five second exposure from our sixth floor hotel balcony, during a recent stay. Photogenic under almost all conditions – a brilliant blue sky with some contrasting cotton-ball clouds seems to be the ideal backdrop, as seen in the second photo. Speaking of clouds; the lighthouse, the setting sun, and a passing formation, make for the interesting drama in the third photo.